The PW Sudden is an NE-602 based direct conversion receiver published in the Practical Wireless of March 1991. It uses Toko KANK-series coils, which are not that easy to get, so I got hold of some surplus transformers which I managed to characterise and rewind. Basically, I measured the inductance and then counted the windings, did the math. 30.5 turns gave an inductance of 8uH, and since #turns = 100 * sqrt(L/Al), that gives Al = 86uH/100T. 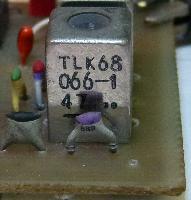 The original part number is TLK68066-1 which is a Panasonic part used in TVs, apparently. 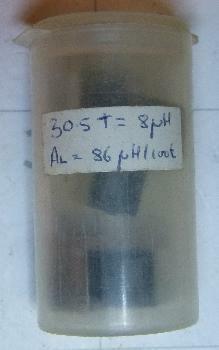 I originally used both halves of the variable capacitor, but that gives a very wide coverage. 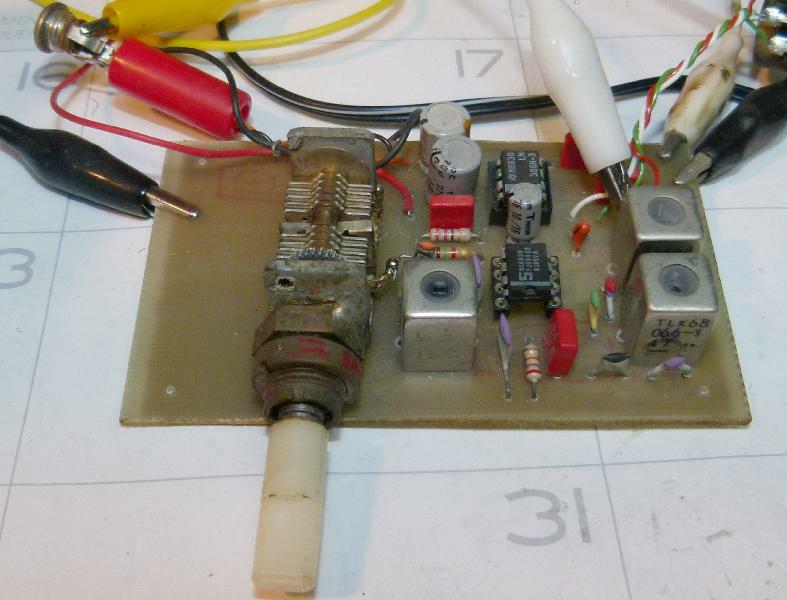 I ended up using one section as well as a 50pF padding capacitor. Tuning is from just under 14.000 to around 14.430 MHz.